Finally a simple linkage for IDA carbs with smooth reliable action. The base plate bolts securely behind the alternator stand with special fasteners provided. No need to remove the studs for modification. 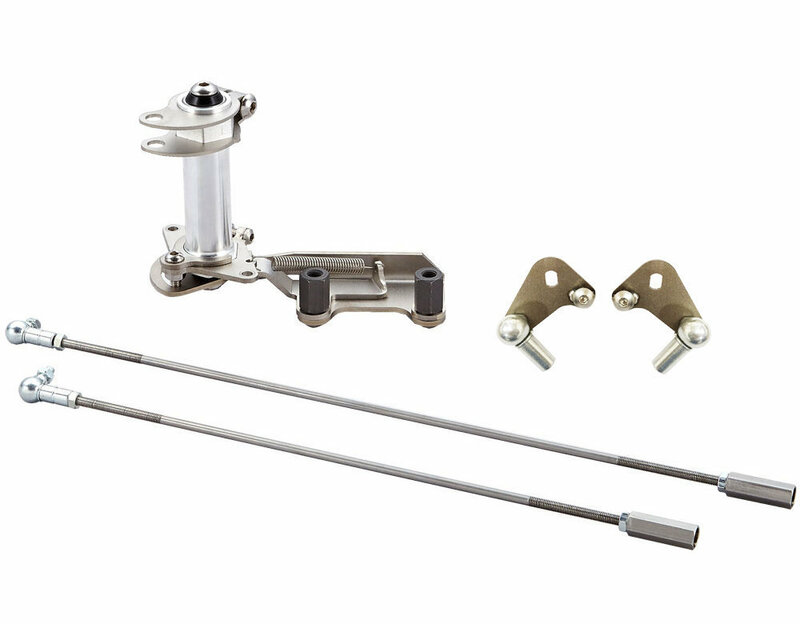 The ball bearing pivot stands at the perfect height to align with your VWs throttle tube. The included return spring provides reliable action, and can be altered for your perfect preference in throttle feel. Comes with quick release connections at the carb for fast service operations. All stainless steed construction! 2. Does not increase the idle speed when engine is warmed up. 3. Fits wide range of intake manifolds. 4. Dual ball bearing pivot with return spring included. 7. Long threaded pushrods can accomodate a wide range of engine widths.